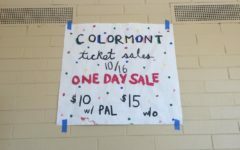 Colors of yellow, pink, green, and blue filled the Terry Stogner gym at Carlmont High School on Oct. 26, 2017, as the annual homecoming assembly took place. 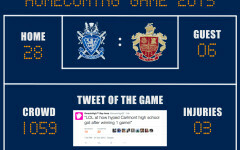 Carlmont’s homecoming week started with a new tradition, nighttime powder puff. Students gathered at the football field on Tuesday night to watch the female teams battle it out with the senior team ending up on top. From Monty’s Pitches to Carlmont cheer, Carlmont came together to celebrate and show school spirit at this year’s homecoming assembly. Brock Lotti and Jimmy Rudger, both seniors, opened the assembly with a comical skit, setting a witty and light tone for the event. This year featured a color wars theme. Each grade was assigned a different color and on Thursday, students wore the color that corresponded to their grade: seniors in blue, juniors in green, sophomores in pink, and freshman in yellow. All week, grades competed against each other for spirit points by dressing up for the different spirit days, which is one of the few ways students can get involved. 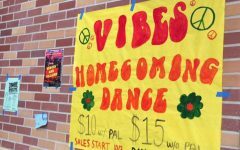 According to Lotti, ASB tries to create activities for everyone, not just activities aimed towards one specific group of people, homecoming is really a celebration of school spirit. 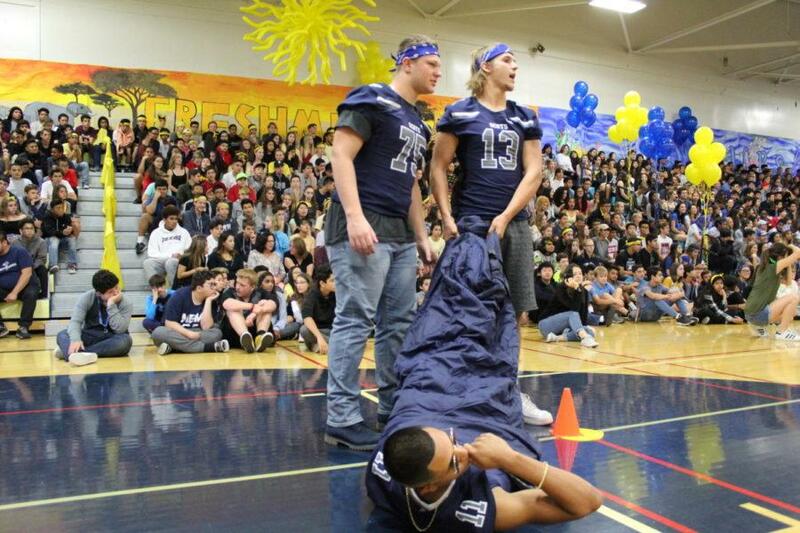 Leading up to the assembly, students waited for ASB to announce who had the most spirit points and won the competition. The sophomores managed pull out a victory over the seniors, who were just behind them in points. “I think the sophomores came out victorious in the color wars because we are a super spirited and united class and we were all able to pull together during this week and show our excitement for homecoming. I was super happy and felt a sense of unity when they announced we won,” said Rachel Amir Chatman, the sophomore class vice president. Not only did the assembly showcase school spirit, it exhibited routines from Carlmont cheer, Hip Hop Club, Drum line, and many other groups. 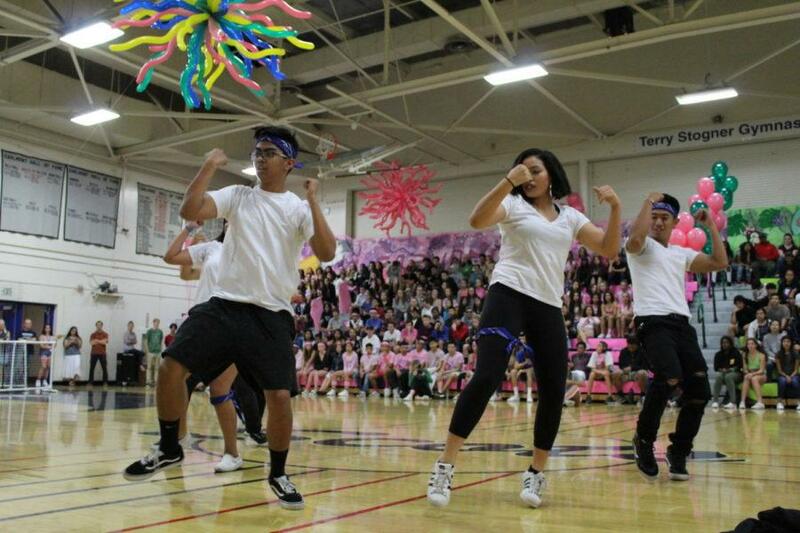 “I liked the dance team because their dance was really upbeat and interesting. They executed it really well,” said Sophia Campbell, a freshman. Seniors Jason Lloyd, Jackson Velschow, and Josef Gonzalez get ready to play in Carlmont Cup. The opening performance featured Carlmont cheer, who later on came back on the floor to do their traditional collaboration dance with the football players. “We had multiple practices a week to go over the routine. We also had a few practices with the football players,” said Ella Reyes, a sophomore and cheerleader. The spirit-filled week will be wrapped up with the boys varsity football team playing Jefferson High School on Fri. night at 7:30 p.m. Carlmont and the homecoming dance in the Stogner Gym on Oct. 28 at 8 p.m.